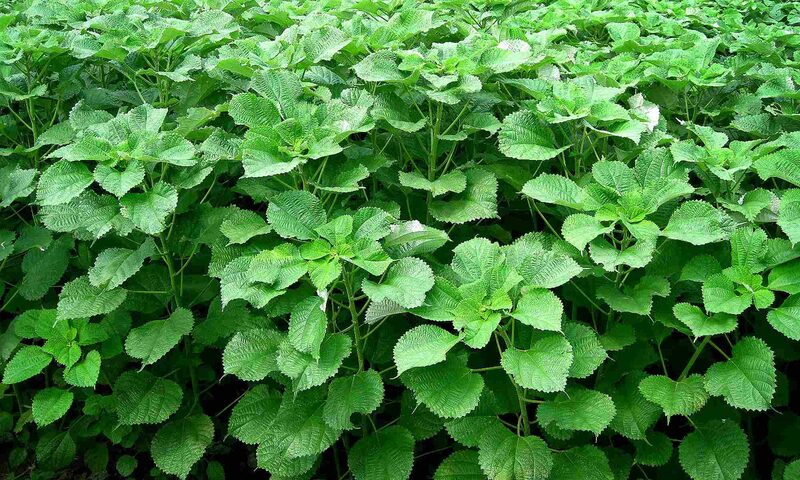 Ramie is a herbaceous perennial crop, known as Boehmeria Nivea. It is a dicotyledonous species belonging to the nettle family Urticaceae. The plant originated in subtropical Asia, particularly in China but Brazil and Philippines also produce ramie fiber. Ramie fiber is the strongest of the bast fibers, rich in cellulose content. It is claimed that ramie fiber was used more than 5000 years ago for textile production in China. Hence it is one, if not the oldest, natural plant fiber types to be used by man. It is also claimed that the Egyptians imported ramie fibers and textiles in or around 3000 B.C. The white ramie fibers with their silky feel and lustre are very suitable for the production of fabrics. Sometimes It is combined with other natural fibers. Ramie can be as long as 150 to 180 cm. The high protein content of the leafs make it a high quality feed and forage for cattle, sheep, pigs, poultry etc. China is considered the main producer of ramie fiber. Other producing countries include Brazil, Philippines, Lao People’s Democratic Republic and Japan. Korea also produce this fiber in small quantities Over the past years competition from other fibers, especially the synthetic fibers but also flax, has impacted the use of ramie fiber. Hence China is exploring strategies to diversify the uses of ramie as a crop. The ramie plant can have a productive life span of up to 30 years. Ramie can be harvested 3-5 times a year. The stalks are cut when a major part of the stem starts to color. The timing of harvest and consequent timing of processing could impact the fiber quality. It can be is a labour intensive process but mechanization has been implemented to reduce costs. The fiber is extracted by a decortication process. The so called degumming of the ramie fiber is a sensitive and specialized process. out of which China produces about 102.467 tonnes. Take note that the world production of ramie in 2005 was about 280.000 tonnes.